Toronto’s UTR-OAS rankings the last two seasons resemble Boston’s, with the lack of pitchers repeating. 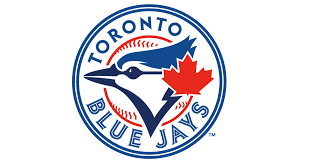 The difference with the Blue Jay’s was that I hit on several quality pitchers, but the organization dealt them off t0 other teams. The likes of Kendall Graveman (OAK), Matt Boyd and Daniel Norris (DET) all made it the Show with their new clubs. Chase De Jong is doing very well with the LA Dodgers at Double-A Tulsa and getting one Triple-A start. Some of those listed last season faltered and thus won’t make a mention below. Connor Greene (7th Rd-2013) basically put-up identical peripherals according to TPS. He scored .101 in 2015 and .100 this season and dropped off the UTR radar with his mid-season promotion to Double-A New Hampshire. Greene did, however, garner almost enough Factor Score points to be ranked, coming in at #6; nudging out Angel Perdomo. The 2014 “One to Watch” LHP Shane Dawson started the 16′ season at New Hampshire, but struggled with control issues. One pitcher that showed promise within my system was Lupe Chavez, who was “just off my OTW radar” last Spring. Unfortunately, he was traded to Houston, so look for him to possibly arrive on the Astros UTR-OAS list in December. Top prospect Jeremy Gabryszwski (2nd Rd-2011) spent the whole season at New Hampshire and waned toward the end of the season by posting ERA’s above 7.50 the last two months. Hard-throwing right-hander Yennsy Diaz was my “One to Watch” for 2016 and also had command issues tacking on a 4.3 BB/9 rate and 5.79 ERA. The two season’s internationally for the Blue Jay’s were about as dry as our Summer months in these parts. Joel Espinal was on my Watch List for this season and it was looking real good early on. The then 19-year-old made his U.S. debut in the Gulf Coast League and absolutely dominated, posting a 0.62 ERA and 7.5 SO/BB ratio in 29 innings (5 starts). He was promptly promoted to the Appy League, and there, he met his match. The righty made 7 starts and saw his SO/BB ratio dip to 0.94 (18 BB/17 K) with a 8.62 ERA. After this season, my spreadsheet was loaded with numerous options to chose from for the 2017 International Watch List. Early leaders would be 20-year-old RHP Adams Cuevas, who posted the lowest TPS (.076) on my spreads, RHP Dany Jimenez, and LHP Elio Silva, who was listed within my Top 10. I’ve said it numerous times…..my system isn’t perfect and I’m really not that comfortable touting it until it becomes tried and true. I continue to tweak and squeeze with different combinations, as you have already seen with this years’ UTR-OAS rankings. But when I begin my post-season breakdowns, and a kid like Francisco Rios rises to the top, it makes one very at ease that the direction you are heading in is solid. Just the other day (Oct 27th), during the Blue Jays Baseball America Prospect Chat, someone asked John Manuel about which under the radar prospect could make some noise. Mr. Manuel stated that no one has questioned about Francisco Rios, who he stated has a chance to be slated a middle-reliever or back-end starter soon. In working on my draft, I had already tagged Rios as a “Legit UTR with an Instant Add”. It’s a great feeling getting the reassurance and that we here are not leading our readers astray with some of our picks. Rios has a projectable frame that throws a mid-90’s fastball and flashes good secondary offerings. Reid-Foley recently received the honor of being ranked within the top 5 in the Blue Jays system according to Baseball America. He also made the BA 2nd-Team Minor League All-Stars at the conclusion of the 2016 season. Reid-Foley advanced to HiA Dunedin with a much improved fastball that displayed good movement. He also whacked his BB/9 rate from 6.6 in 2015 to 3.0 this season. He missed quite a few bats striking out 130 over 115.1 innings, which is the most work he’s seen since turning pro. He did experience some elbow soreness that shutdown his season in early August. Harris took a big step in 2016 after only throwing 36 innings with Short-Season Vancouver in 2015. He threw 129.2 innings and posted a 2.71 ERA, but his average control reared its ugly head with a 2.6 BB/9 and 6.9 K rates. Look for him to be back at HiA Dunedin to being 2017. It’s good to see Borucki back within a UTR list. He’s suffered many injuries starting with Tommy John surgery in 2013 and more elbow (along with shoulder) problems in 2015. He came back with a vengeance in 2014, but was limited to 57 innings. There were no limits this past season, as he threw 135.2 innings. He had a rough start at HiA Dunedin, which the organization then sent him to Lo-A Lansing where he posted nice stats. I read in a publication (memory fails me, sorry) this past Spring where Borucki’s situation was “sort-of” compared to the New York Mets’ Steven Matz. I’ll be watching in 2017 to see if 6’4″ – 175 lb. lefty can get back to the hype in choosing him as my 2015 OTW choice. Perdomo recorded his first full season as a pro and was one of the most dominate pitchers in the Midwest League. The big-bodied lefty (6’6″ 200+ lbs.) makes a 3-peat as an UTR Organizational All-Star. He led the organization and Midwest League in strikeouts with 156 in 127 innings. He has an unique knack of throwing with deception with all three of his offerings. There is still room for some polish, but any indication of improvement over his 2016 performance, the Blue Jays have a gem on their hands. This entry was posted in 2016, 2016 Post Season UTR Organizational All-Stars, Articles, Pitchers and tagged Adams Cuevas, Angel Perdomo, Chase De Jong, Daniel Norris, Dany Jimenez, Elio Silva, Francisco Rios, Jackson Lowery, Jared Carkuff, Jeremy Gabryszwski, Joel Espinal, Jon Harris, Kendall Graveman, Lupe Chavez, Matt Boyd, Ryan Borucki, Sean Reid-Foley, Shane Dawson, Starlyn Suriel, Steven Matz, Yennsy Diaz. Bookmark the permalink.